A couple of weeks ago I put up an insastory asking for READER QUESTIONS. And you ladies had some questions. LOTS of them. I answered quite a few last week, and I’m going to answer some more today! LOTS of questions were duplicates, so I’ll be sure to answer those because it’s obvious that inquiring minds want to know! Of course many of the questions had to do with clothes, but I also picked some more personal ones that I just thought were fun! 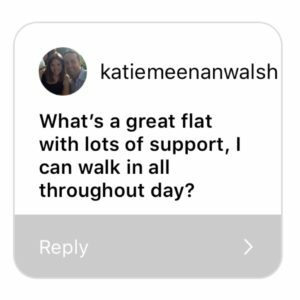 If you submitted the question on instastory, then your little question box and avatar will be in today’s post. If you direct messaged me or just e-mailed me, then I will just include your question and your name in italics. Click HERE for my READER QUESTIONS post from last week! 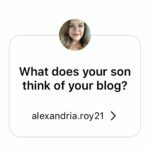 (If you missed it, I answered questions about if we want more kids, what Carter thinks about the blog, and if I think my clothing budget is realistic for others.) Y’all really did BRING IT with the questions. So, my Frye boots that I bought years ago have been a bit of a disappointment. My mom and sister LOVE theirs. (They both have the Melissa Button and swear by them, just like I know soooo many of you do.) When a particular pair went on sale years ago (no longer available, but they look kind of like this), I thought THIS IS IT! And I bought them. And I wore the heck out of them for about 6 months or so. I finally had my Frye’s and I was pumped! What I came to realize is that I should have just shelled out the money for the pair I really wanted instead of buying the pair that was on sale. They weren’t really the look I was going for and I actually don’t think I ever really loved them. I was just excited to have Frye’s. Which looking back, is really dumb. I bought some Born boots the next year and absolutely LOVE them. Sadly, they are no longer available, but I’ve been much happier with the Born boots that I was with the Frye’s I purchased. So, I guess that Frye boots have been a regret for me. In the same vein, I’ve wanted a Michelle watch for about 10 years now, but they are definitely an investment. A huge investment. The last couple of years during the Anniversary Sale I’ve almost bought one, but I didn’t. My Frye boots taught me that just because it’s a great deal doesn’t mean you have to buy it. I would still love to grab one on sale one day, but I’m just going to be patiently wait for one I love to go on sale. It might never happen, but goodness I’ll be excited if it does. Hi, @lkbagby! Another great question! I actually do have a pretty big closet, and it’s all mine because Chris’s is on the other side of the bathroom! But to be honest, I STILL HAVE all sorts of trouble managing it. I definitely have an issue getting rid of clothes. I’m always like “I mean, sure I haven’t worn this top in like 3 years, but I might want to next week!” Hahaha! The nature of blogging though is that I rarely wear things if they aren’t currently available for me to link to them. (To clarify, I definitely have favorite pieces that I continue to wear year after year, even if they are no longer available. The Born boots I mentioned above come to mind.) However, I don’t often do this as a blogger, because if I wear them in pictures, I might get 100 questions on where to buy them. And then y’all are just sad and annoyed that you can’t have them too. 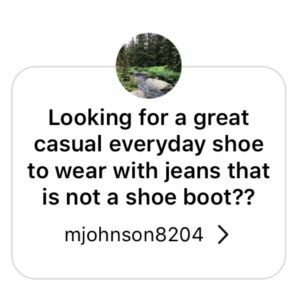 Over the years I’ve learned that y’all don’t want me to link you to “similar” items, you want the EXACT item, which I totally get. SO…because of that…I really have to git rid of a lot more clothes every year than the average person does. Luckily, my mom and I are the same size, so she gets lots and lots of my clothes. And I have a friend that wears my shoe size, so this year I gave her probably around 15 pairs of shoes! I also give clothes, bags, shoes, and jewelry in large batches to The Samaritan Inn. Oh, and my sister is much smaller than me (so my clothes don’t work for her), but she gets bags and jewelry as well. Hi, Lindsee! I’m soooo sorry, but I haven’t. I need to get my act together and start trying to show you a room every couple of months or so. And I need to start with sharing my closet! I did think about previous content, and I remembered that I showed the guest bedroom HERE. And I showed you bits and pieces of the house when it was decorated for Christmas HERE. Hi, Christine! Click HERE and scroll down to midway through the post to see how I store all of my necklaces! Its such a simple (an inexpensive) solution. Plus, the necklaces look so pretty, and they’re all so easy to see. And about the Wit and Wisdom jeans, I can’t even tell you how many readers have used the “life changing” words! 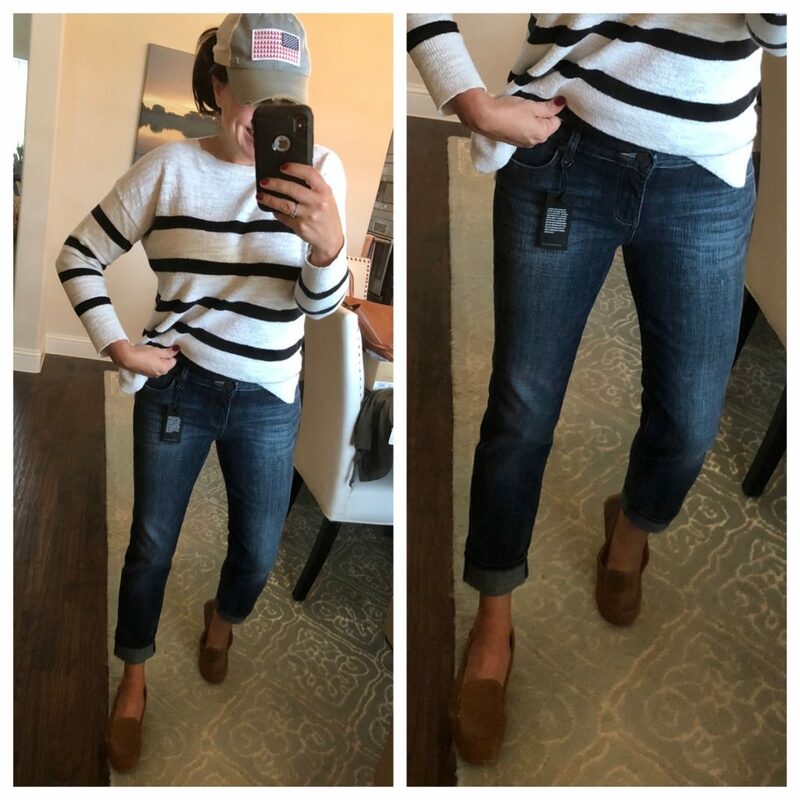 And just fyi, my favorite itty bitty boot cut jeans that sold out a couple of weeks ago (and so many of you were sooooo sad!) are now available in a new darker wash! 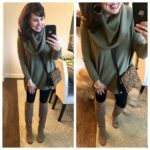 They are perfect for fall! Click HERE. Remember, at 5’4″, I wear regular 4s and wear wedges or heeled booties. Size down if between sizes. Hi, mjohnson8204! I have a pair of shoes to recommend that I’ve never recommended before! But OMG they are FANTASTIC. I don’t have any outfit pictures in them yet, but click HERE to see what they are. And they are 25% OFF RIGHT NOW! Only 4 sizes show on the main page, but if you click “view more”, you will see other sizes pop up. I cannot put into words the comfort level. I got them just last week and am sooooooooo obsessed. I have a post coming up with Macy’s on Friday, and I got these when I was shopping for that post. AND LISTEN TO ME WHEN I SAY THIS: you will not find a more comfortable shoe. I HAVE NEVER OWNED A MORE COMFORTABLE SHOE IN MY LIFE. FOR REAL. Okay…so let’s talk sizing on these loafers. I read TONS of the reviews (which are pretty much all FANTASTIC), and the majority of people say true to size. I got my normal size and they felt great when I put them on, but as I’m walking around the house in them, I’m wondering if I should size down a 1/2. I do size down a 1/2 in the UGG slippers, but that’s because the shearling inside of them packs down, and the loafers don’t have shearling. I think I would suggest sizing down if in between sizes (although I haven’t tried on 1/2 size down in these, so I can’t say for sure). But please don’t let this keep you from getting these shoes. They are truly amazing. I got this question too that’s very similar to the one above. Even though they’re new to me, I can’t recommend these UGG loafers enough (true to size). They have amazing arch support and will be incredibly comfortable all day long. They are perfect for teachers and doctors who are both on their feet a great majority of the day. They’d also be great for travel! Hi, Jess! I have a lot of trouble with boyfriend jeans too. I’ve tried on sooooooooooo many through the years, and I just haven’t been able to find any that I think are flattering. And I don’t care how “in” a pair of jeans are…if they’re not flattering…I’m not wearing them. NOPE. Not gonna do it. Well! These came in Monday afternoon. I threw them on so I could grab a couple of pics for today’s post because I LOVE THEM! I’m wearing a 4P, and I’m 5’4″. I think a regular 2 probably would have worked on me also. And you can also click HERE to see them in several different washes and level of distressing, as well as plus size! 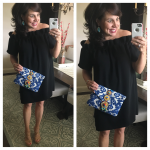 They are already running low in stock in some of them at Nordstrom, but you can click HERE to get find lots of different Catherine styles at Nordstrom Rack! AND CHECK OUT MY NEW UGG LOAFERS! They are on sale too! Like I mentioned previously, they are the most comfy pair of shoes I have ever worn! Hi, Linda! So, I have a few companies that I have ongoing relationships with that send me things. Accessory Concierge, Social Threads, Barrington Bags, Gibson, and Colleen Rothschild are the companies that immediately come to mind. 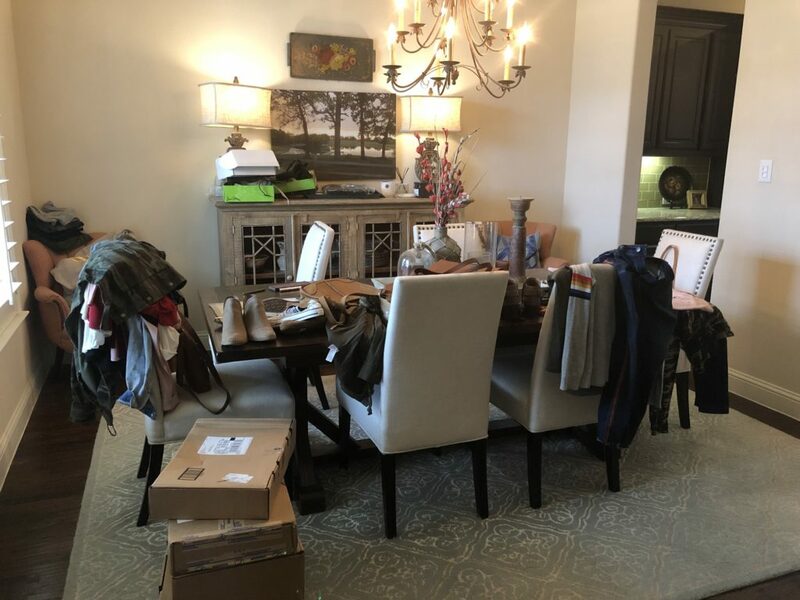 And for the first time IN THE HISTORY OF EVER, a buyer from Nordstrom buyer reached out before the Anniversary Sale and asked me if she could send me some things. UM, YES PLEASE Nordstrom buyer lady!!! If a company gives me something that I end up showing on the blog (quite a few things never get shared), then I will note that with “c/o” (courtesy of). I also purchase things on my own from some of the companies that give me things, so if you don’t see “c/o” for a particular item, then it probably just means that I purchased that item on my own. I see tons of bloggers doing unboxings all the time too, and while it does look sooooooooooooo much fun (because who doesn’t love FREE! ), it’s also obviously a ton of work. We are drowning in cardboard boxes over here with items that I’m personally buying, so I can hardly imagine throwing tons of gifted items on top of that! That’s a lot of boxes to break down and stuff in the recycling bin. So, long answer short…yes, a small number of companies do send me things. Hi, Kathleen! I only wish that I had a system to keep everything organized! I’ve shown a picture like this before, but our dining room is the holding room for all of the packages I receive. This is not necessarily ideal AT ALL, especially since it’s the first room you see when you walk in the house…but since I don’t have an office, it’s the room where all the magic happens. Ha! I unbox everything, sort through it, try it on, and decide what I want to keep and feature. It’s also where I organize my returns for everything that goes back. As far as how much I keep and how much I return, I probably only keep (and show) about an average of 15-20% of what I order. The great majority of what I order will never even be seen on the blog. So much of what I order I try on, and it goes immediately in the return pile. Plain and simple, I have to truly love an item to share it with y’all. I know this whole blogging thing only works because y’all trust me, and the minute I lose that trust, you will stop coming to me for recommendations! I don’t ever want to lose your trust, so I’m very discriminating about what I post! Hi, @fluffyfrise! 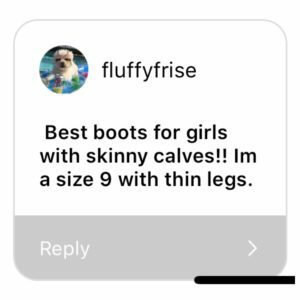 THESE BOOTS have a 13 1/2″ calf circumference. Perfect for all you skinny calved ladies! AND LOOK HOW DARLING THEY ARE! They will be great with dresses and leggings! They’ll look good with jeans too. Okay, one more question! This one made me lol! 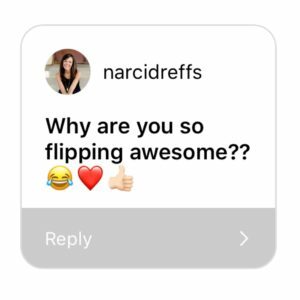 Thanks for the laugh, Narci. Last thing! 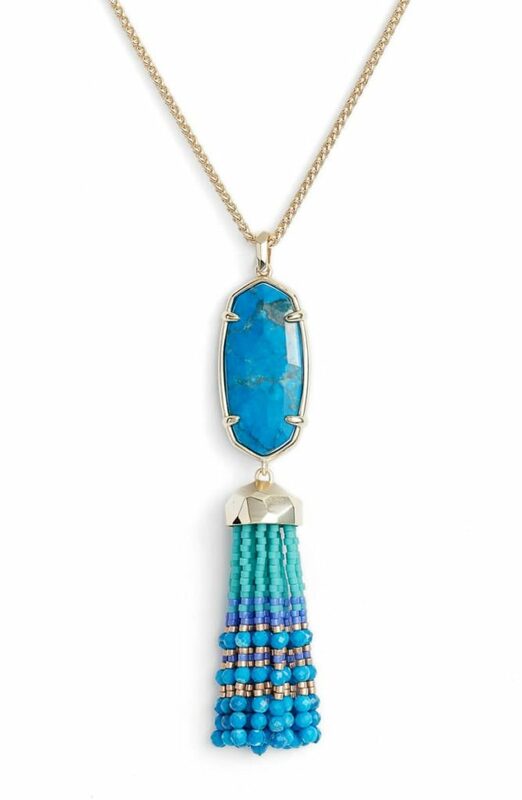 I had to share that I found this gorgeous necklace at Nordstrom for 60% OFF! There’s only 34 available, so hurry! Sixty percent is no joke. It’s regularly $125, and and right now it’s just under $50! WHAT A DEAL! Hope y’all enjoyed this, because I sure am having a lot of fun answering the questions! Make sure you come back tomorrow for What’s Up Wednesday. The BONUS question is “What’s your favorite pumpkin food to eat during this season?” Have a great day, y’all! I love these posts! Thanks, Sheaffer! P.S. 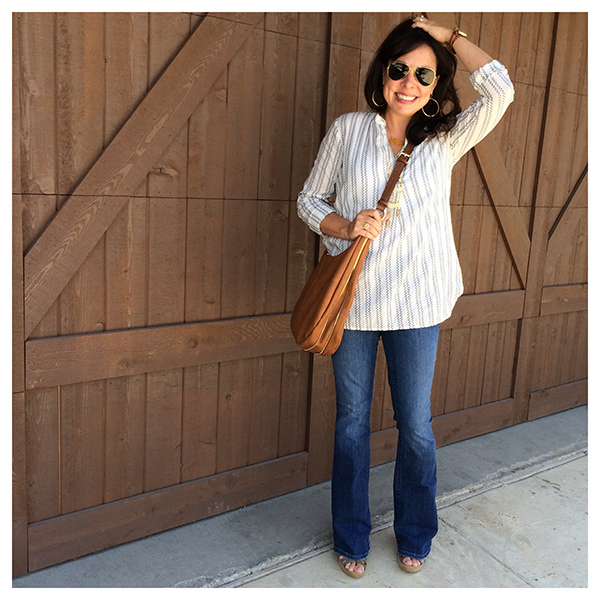 My black Wit and Wisdom jeans showed up yesterday–I love them! Do the Ugg loafers run true to size? Oh boy! I already order the 7. Hope they work. Fingers crossed. Thanks for all the great recommendations! I look forward to M, W, F, too!! YES to those boyfriend jeans!!! I bought them during the Anniversary Sale and they are the ONLY kind I have ever liked on my body. They aren’t too baggy and have a little stretch to them. They will be my go to jeans even though they are a bit long. I roll them many times but am considering having them hemmed a bit. My biggest issue is how to style them. I love them with my leopard slides, but a girl can’t wear leopard slides every day. I have tried a few other things, but I am not loving much. 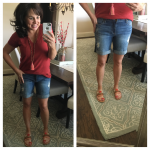 Maybe I am just still warming to the idea of a boyfriend jean. Do you have anything else you wear with them? Sheaffer you are the best! I love your posts! 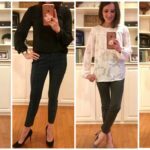 Could you share some ideas of casual pants instead of jeans that could be worn with cute tops/sweaters. I am a teacher and not allowed to wear jeans and it seems as if everything I have tends to need to be paired with jeans. I can get by with colored jeans. Great question, Laura, I’m in the same boat. I don’t have to be extremely dressed up, but no jeans unless it’s Friday. I would love to see a post like this as well. I have black skinny chinos, burgundy skinnies and khaki skinnies. Would love a little help styling these! Thank you for all the time and attention you spend on giving us such great ideas and deals! Your blog is a bright spot in my day! 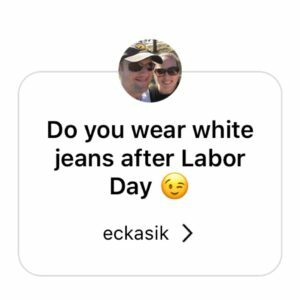 Hi – I was wondering if you ever shop for non-leather alternatives. I love your leopard belt but would never purchase calf hair products. Same goes for purses/shoes (leather). Surely I am not the only animal-friendly fan looking for these other choices! One of your best posts yet, M’lady!! Right now, I am wearing the Catherine boyfriends in a dark rinse from the 2017 Anniversary sale – I bought two pair of the exact same jeans and wear them nearly every day, yes, EVERY DAY to work! Also, could you please tell me what size you are in the Madewell Central shirt you kept? I know that style tends to run really big. I love these kind of posts. Keep them coming! Sheaffer. 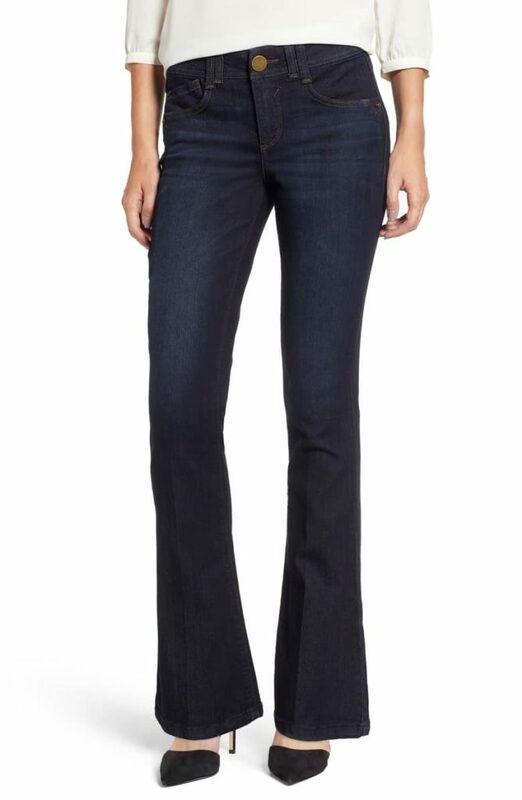 For the boyfriend jeans try the 7forallmankind josefina. I am in love. Size down one size I’d you like them more fitted. They are so flattering. And I thing many will like them and they are very comfortable. What do you do with the clothes that you no longer wear? I also love those Ugg loafers! I discovered them during the Nordstrom Anniversary Sale and purchased them in four colors! I sized down a 1/2 size in them and they are perfect and so so comfortable! Couldn’t agree with you more! Wit and Wisdom has become my absolute favorite! Worth every penny! Thanks for that intro! Hey Sheaffer, I’m a fan of your must have Natori bra. But I was wondering if you could provide a great minimizing bra for us chesty girls? Especially to wear with button down tops and dresses. Thanks for all you do! Great post! Love learning about one of my all time fave bloggers. Have you ever considered doing a “hits and misses” post? That way we can see what you didn’t keep because it didn’t work out or didn’t fit well, etc. I have really loved the Colleen Rothschild products that you recommended! I am curious if you have had and opportunity to try their new Matcha Tea Treatment Toner? Thanks so much for all of your terrific recommendations! 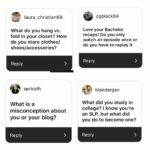 Omigosh you posted my question! Woo hoo! And belt racks. So simple. Wish I had a spare wall to put one up. Hmm, maybe I need to move some furniture around! Love this post! Can you tell me what possibly could ever be so fantastic about a watch that it is worth a mortgage payment? 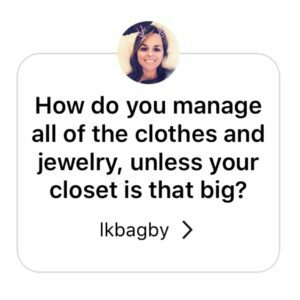 Do you use or can you recommend a clothing or closet app? I need help organizing and remembering outfits I want to wear in the future. Bonus points for being free.